Contributed by Tim Clear, 7 February 2019. This weeks blog was written by a good friend of mine, Tim “Crystal” Clear. Tim was visiting the Philippines over the new year and during that time, spent some time in one of the most popular Philippines destinations, Moalboal in Cebu. This is actually a place I haven’t been to yet, but have heard a lot about. When Tim told me he was going there, I asked if he could write a blog for Deztreks so I could share it with my audience. Thankfully, Tim was more than obliging. So here we are with Tim’s complete travel guide for Moalboal in Cebu. Hi all, my name is Timmy Crystal (not sure where they got my nickname from). I have been travelling to the Philippines on a yearly basis for about 8 years, whilst previously living and working in Manila for 18 months around 2016/17. That’s when I met Dezza. We have a lot in common as we have both have travelled to some of the best places in the Philippines. When we first met, we shared a lot of tips and ideas and came to the same conclusion – in just about every place you travel to in the Philippines, there are differences in how to actually travel, where to stay and local customs. There is so much diversity in one the country, it really is so unique. I have travelled to other parts of Asia but have found the Philippines the most hospitable of all. Once you know your way around, you can travel to just about anywhere in comfort and at a very cheap price. I actually find the Philippines safe and feel more comfortable security wise than travelling around most of the capital cities of Australia. The great thing about Filipinos is that most people speak good English. Of course, being a developing country, when they see a foreigner or tourist, they want to make a quick buck. However, compared to Thailand and especially Bali, they are not as forceful. 1). Don’t buy pesos (the local currency) before you leave your home country. You will get an extremely low rate. When I’m in the Philippines, I prefer to take cash wherever I go and keep it in a padlocked bag, money belt or my 5 pocketed trousers or shorts. ATMs in the Philippines give a reasonable exchange rate if you don’t feel safe carrying too much cash, but there are ATM charges as well as overseas banking transaction fees. When you arrive at the airport maybe exchange a small amount of cash at the vendors there just to get you started but the rates are low compared to what you get outside the airport. Don’t exchange money at hotels as they tend to have low rates as well. Travel cards and traveller’s cheques are a rip-off. Be careful where you change your money to make sure that you get a good rate. Best to avoid changing your money at the airports or hotels. 2). Research: Go to Trip Advisor or something similar to find out how to get to places and the tricks in the particular area you are travelling to. 3). 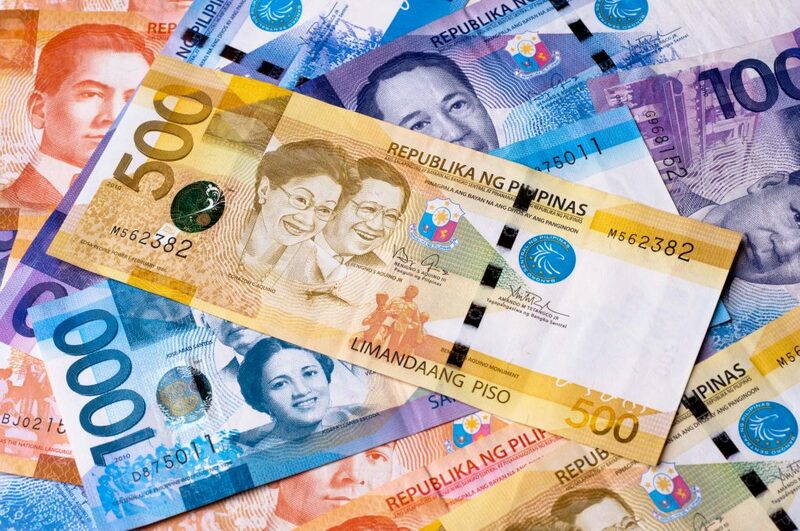 Always take plenty of local currency when you are travelling around the Philippines: whether to a major city but especially a province. If you are travelling from Cebu or Manila to another place, take the money you need for the period of time you will be away, plus a contingency of an extra 10-15%. Don’t rely on hotels to have Credit Card facilities or ATMs and money changers. 4). Book and pay for hotels in advance. It saves mucking around with cash and trying to find a hotel when you arrive. Again do your research and don’t just go for the cheapest hotel. Look at the reviews and the review star rating. 5). Travel by the local bus service. It is so cheap and very comfortable compared to hiring a van. I’ve never had a problem with safety. You also get to meet the locals and experience the cheap local food at the stops along the way. 6). 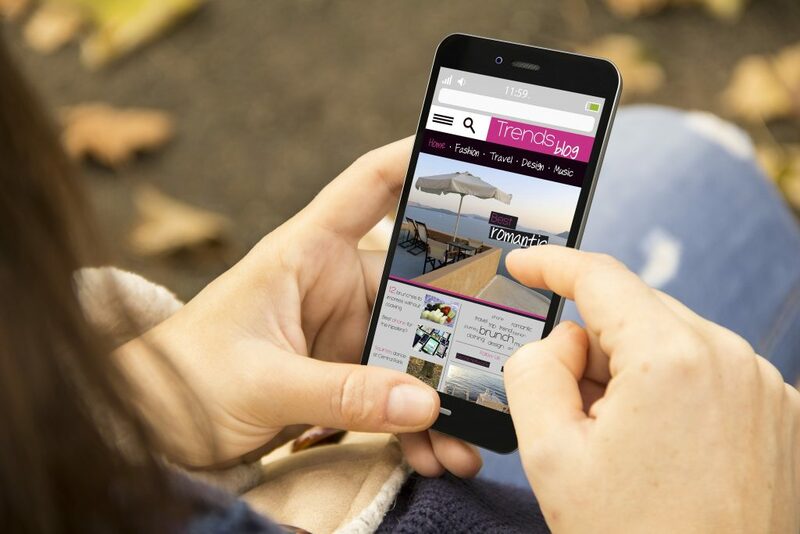 Buy a local Sim Card for your phone and use the services Smart or Globe. You can get these at the airport or just about any shopping mall and are very cheap. Ask the sales assistant how to get WIFI/Data on your phone and they will give you advice depending on your needs. So much easier and cheaper than doing international roaming. If your phone doesn’t accept other sim cards ie (iPhone) buy a cheap second hand one from one of the big malls in the cities. Phone credit is so cheap in the Philippines. You can get full phone and data usage for as little as 500 pesos which can last for weeks. 7). Download the Grab app for a taxi service in Manila and Cebu. Uber has been taken over by Grab. Regular taxis will negotiate price and quite often not use the meter. If you have to use regular cabs just offer them meter plus 50 pesos. I tend to turn on Waze or Google Maps to help them navigate and to make sure they are not taking me too far off the track. For those adventurous enough, download the ANGKAS app in Manila (a motorcycle taxi) for about half the price. This also gets you through the traffic which can be a nightmare. When in Cebu, if you’re at any of the malls, just ask the security guards for “habal habal” (motorbike taxi) and they will point you in the right direction. 8). Tipping: always give about 10 per cent of the bill in restaurants and bars. Wages are virtually nil so tips are very much appreciated. 9). When in a bar, you can buy the waiter or waitress a drink but it usually doubles the price. The staff member gets a percentage as well as the bar. 10). If you wanna watch sports, look up sports bars on the internet. I am Australian so I research Australian sports bars and they tend to have the sports I am after. Moalboal is a great place to get away and relax with many activities on offer, the main one being diving. There are also many waterfalls including Kawasan Falls which has become famous for canyoneering. According to the people I talked to at my hotel, this is well worth visiting. Kawasan Falls is very popular with adventure seekers for its canyoneering. I didn’t have the chance to go there but I heard from others it is well worth a visit. 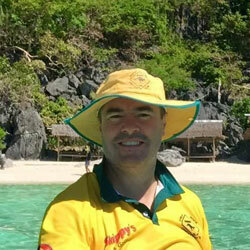 Before I left Australia, I booked into The Moalboal Beach Resort. I would highly advise booking a hotel before you arrive as hotels are quite spread out throughout the area. Therefore, it can be difficult to get one that is close to the action. To get there from Cebu city get a cab to the South Bus Terminal. Ask for the Moalboal bus. I got a bus straight away but apparently, they are fairly regular. 140 peso is the cost of the trip which is a great price (less than USD3). I find buses a great way to travel through the Philippines. They are comfortable, cheap and generally very safe. People I met paid 2800 peso each way for a van from the hotel. This was arguably more convenient but a lot more expensive. The Moalboal town itself is small and busy. There are no taxi’s so you have to get a trike to the hotel. There are many trikes available and the standard price is 150 peso. They will ask 300 pesos, so just bargain with them. The main place where all the Diving centres are is Panagsama Beach. Its bustling little place and a bit chaotic with people, trikes and vehicles cramming the area. You can do beach dives and snorkelling with plenty of reefs to explore. This is also where the limited nightlife is with some nice beachside bars and restaurants. White beach is a nice little beach if you want a swim away from Panagsama Beach without a reef. There are a few little Filipino style cafes along the beach as well as clothes markets. 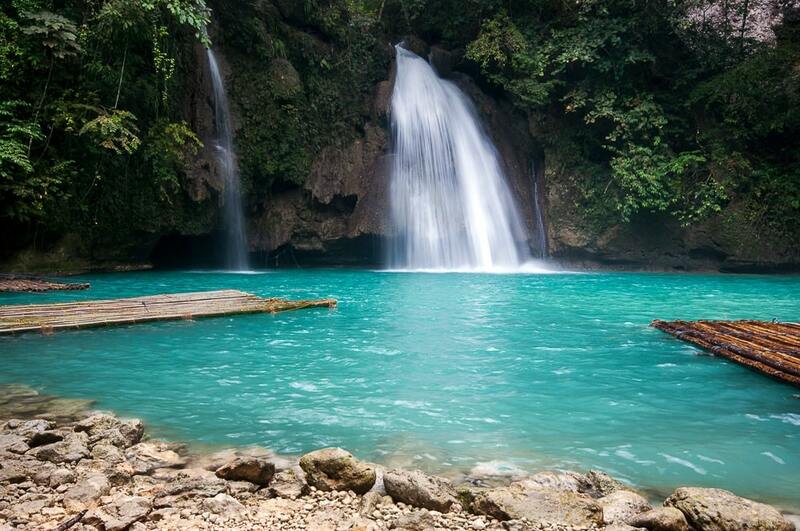 There are many tours available from your hotel to visit all the different waterfalls, including Kawasan Falls. To get around Moalboal you can either keep paying trike fees or hire a motorcycle like I did, which cost 500pesos per day. White Beach in Moalboal is nice and clean and a great place to relax or you can head out for scuba diving and snorkelling which is what I did. To get back to Cebu ask for a trike to the bus shelter in Moalboal town for the bus to Cebu. There are buses every 5 -10 minutes of different quality. I waited for the airconditioned bus which didn’t take long. There is an ATM at Moalboal town and the only money changer there didn’t change Australian currency. I would fully advise getting money before you leave Cebu. So there you have it. I hope you enjoyed my complete travel guide for Moalboal in Cebu, Philippines. I hope that all of the information I have included in my blog will help you to have a more enjoyable trip not just to Moalboal, but wherever you may choose to visit in the Philippines. 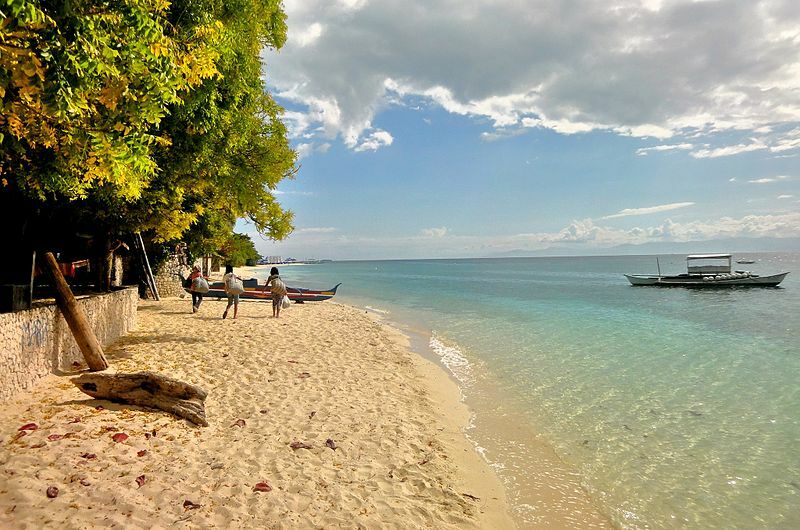 Thanks to Tim for his great article about Moalboal, Cebu. For more reading, please check out my related articles below. Also, don’t forget to like and share this article and please feel free to leave comments below.